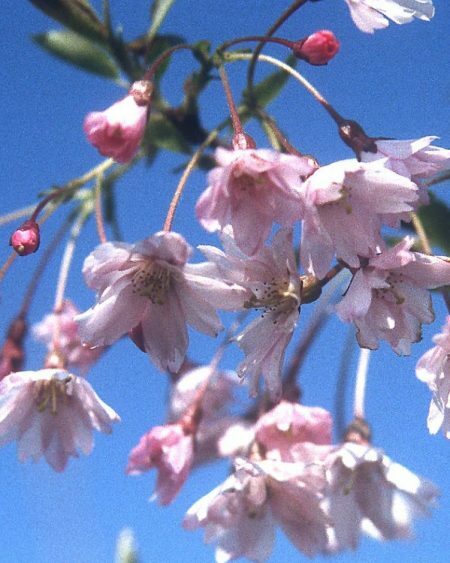 Prunus serrulata Pink Perfection is a small deciduous tree produces clusters of delicate, frothy, double pink flowers that are dark pink in bud, opening to a slightly paler pink in late spring. The leaves open bronze before turning green in the summer and later having orange tints in autumn. Like most cherries this lovely specimen tree prefers to be planted in a well-drained soil.